On Sale for 99¢ through April 3rd! 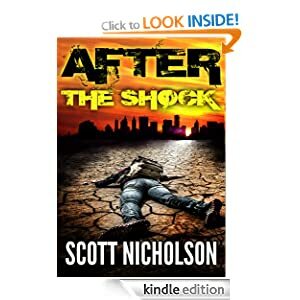 Look for the first book in the series, AFTER: THE SHOCK. The prequel, AFTER: FIRST LIGHT, is coming in May 2013. The audio book version is not on sale for 99¢ - sorry. This new parody ebook will be available absolutely free in the format of your choice at https://www.smashwords.com/books/view/283755 Reviews are highly appreciated. Return to the film with mayhem, mirth, and magic missiles—or at least, crumpled newspaper missiles. Torn Teepeeshield, the Hot Prince of the Dwarves, puts aside his developing stardom in dwarf cabaret to quest to the Lame Old Mountain and destroy the dragon Erpolushun, or in the common tongue, Smog. It's up to Bumble Baglunch to save the day with his knowledge of pop culture. Together with Bobbin, Noggin, Rover, Clover, Sloppy, Ploppy, Frappe, Hottie, Spottie, Quaff, Sloth, and Ezekiel the dwarves, they journey across Renfair Earth to revive their franchise. Destiny may be a word writers use to pave over plotholes, but Bumble is determined to triumph nonetheless and play as good a game of goblin golf as his ancestors. http://www.vefrankel.com for more info. Valerie Estelle Frankel has won a Dream Realm Award, an Indie Excellence Award, and a USA Book News National Best Book Award for her Henry Potty parodies. She’s the author of many books on pop culture, including From Girl to Goddess: The Heroine’s Journey in Myth and Legend, Buffy and the Heroine’s Journey, Katniss the Cattail: An Unauthorized Guide to Names and Symbols in The Hunger Games, Teaching with Harry Potter, and Harry Potter: Still Recruiting. Once a lecturer at San Jose State University, she’s a frequent speaker on fantasy, myth, pop culture, and the heroine’s journey. Her latest book is the Hobbit spoof, An Unexpected Parody. Learn more at www.HarryPotterParody.com. At the time of this posting Kiss Me Hello was FREE!!! Sara Blakemore's normal life is turned on its head in the space of days. First her husband tells her he's having an affair. Then she inherits Turtledove Hill, a vineyard on the northern California coast complete with haunted mansion. Joss Montague can't remember his life, and he doesn't know how long he's been wandering in the cold mist. When a young woman finds his journal, his past comes back to him as she reads each page. Sara's husband Bram comes to Turtledove Hill to save their marriage, but she can't help comparing him to the man in the journal she found -- especially after she meets Joss Montague's ghost up close and extremely personal. The man of Sara's dreams is only a ghost, and the one who seeks her forgiveness is very much alive. Sara must let one rest in peace before she can find happiness with the other. Dark Solus, An Assassin's Tale, the first book in the Dark Saga, is a dark, fantasy novel about one of the deadliest assassins on the planet Eorth. The evil wizard Kalifen, along with the ruthless leaders of the Assassins, Thieves and Halflings guilds, murdered Dark Solus' parents when he was only a child. Haunted by their merciless execution, he now waits and prepares to exact his revenge on all those responsible for their demise. Dark is transformed and trained by the Styg, the warden of the Stygian depths, and his grandfather Mephistopheles, an ancient silver dragon. Twelve years later, Dark is now ready to travel to the City of Duergar, the home of his enemies. Trained in the skills of assassination, and armed with lethal magic devices and knowledge of the dark arts, he has set himself only one mission.....to kill them all! I was born in Fredericton, New Brunswick, Canada but moved to Ontario when I was a child. I studied psychology at Carleton University and then went in pursuit of a degree on Computer Science at Algonquin College until finally settling on web designing and development as a career choice. It was at this time my father passed away and I delved back into one of my passions, reading fantasy novels, to help take my mind off the loss of my father. Several years passed and in a passing conversation with my mother, I was urged to write a story about the character I had made as a child playing Dungeons and Dragons. My novel is the story of Dark Solus, the character I invented for the game. I write full time and am working on my second novel in the Dark Saga series. I still live in Canada in the small hamlet of Innesville with my two dogs Ares and Ariel. Dark Solus An Assassin’s Tale has won 2 awards both in the Fantasy genre and both in contests held in the United States: 2nd place in the Written Art Awards in February 2012 and in August 2012 it won Bronze in the Readers Favorite. David Andrew Crawford's Dark Solus: An Assassin's Tale is the riveting saga of a thirteen-year-old boy and his mission to vanquish his parents' enemies after witnessing their harrowing demise. Filled with wizards, magic, dwarves, elves, dragons, betrayal, conspiracies, and much more, Dark Solus adds a uniquely psychological element that sets it apart from the normal, run-of-the-mill fantasy. 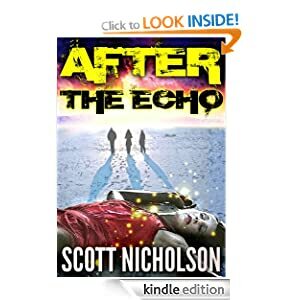 Thrillingly dark to its core, this science fiction/fantasy will not disappoint. Reaching deep into the recesses of his imagination, Crawford has crafted a well-written, detail-rich story that will make readers fall in love with this genre all over again. As in any tantalizing fantasy tale, Dark Solus' action-packed scenes are preceded by a winding, well-researched historical description, or back-story. The narrative revolves around Dark Solus, the son of Elim and Leynorr Solus, and his unyielding desire to eliminate the masterminds behind his parents' murders, especially the evil wizard and Shadow Lord, Kalifen. With the help and training from his thousand year-old grandfather Mephistopheles, a polymorphic legendary silver dragon and his friend and teacher the Styg, Warden of the Stygian Depths--a warrior and poet, and the individual who trained Dark's father--Dark hones his powers and prepares for his mission to defeat Kalifen and Lord Blackthorn, and wreak vengeance upon the Assassins, Thieves, and Halfling Guilds. Though the plot itself is mesmerizing, the dynamic storyline forces readers to conjure how a thirteen year-old child instantly evolves into an assassin--avenging the brutal murders of his parents. Dark is constantly haunted by the memories of his parents. More specifically, the night of the murders is described from Dark's perspective: "That night, Dark's sleep was restless, tormented and haunted by nightmarish images of his parents trapped inside a shadowy coffin." As Dark, now the cloaked assassin completes his training and prepares to invade the city of Duergar, he receives gifts and tools from his well-wishers that will help him in his endeavors. Can Dark single-handedly do what his parents were unable to do together? Ultimately, Dark Solus: An Assassin's Tale is captivating, from the plot to the precise details, and the fateful birth of an assassin in Dark Solus. It's a must read for all sci-fi/fantasy aficionados. "It is always a pleasure to come across a quality fantasy novel and Dark Solus: An Assassin's Tale by David Andrew Crawford is an entertaining read. This is one of those fantasy books that leave you thinking and visualizing about it well after you are done. The author weaves a tale that grabs your attention and holds it the entire way through. Simply put, the story is about a child, Dark Solus, who experiences the life-changing trauma of his parent's murders at a young age. He becomes an assassin to exact revenge. The story takes the reader through the life of Dark Solus as he is growing up with his grandfather raising him. He struggles with the driving force of retribution shaping his decisions. Dark Solus becomes a strong personality because of this drive and the conflict between him and his grandfather will have readers empathizing with both characters' point of view. Crawford has an amazing imagination and it was obvious that he took considerable time and thought to write his first novel. The story is rich in detail with a quality storyline and excellent character development. The dialogue between the characters flowed well throughout most of the novel. There are fantastic action sequences throughout and enough sorcery and mystery to satisfy any fantasy buff. Readers are left with a solid ending and will have to wait with anticipation for the sequel to find out what happens in the next chapter of Dark Solus, the assassin."